The UFC returned from an extended hiatus today (Saturday, September 2, 2017) at the Ahoy Rotterdam in Rotterdam, Netherlands. 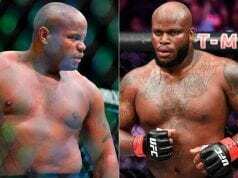 The European card was headlined by two massive heavyweights in Stefan Struve and Alexander Volkov in a heavyweight slugfest. 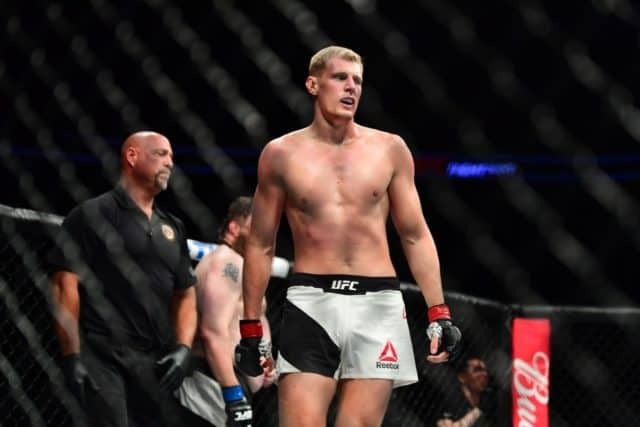 The main event was a foul-laden affair, with Struve poking Volkov in the eye multiple times and receiving one of his own, without any points being deducted. Struve opened a big gash under Volkov’s eye late in round one with a flying knee, but Volkov answered that with a takedown and stiff ground and pound. “Drago” gradually took over in the second and third rounds, as he repeatedly snapped back Struve’s head with punches and chewed up his legs with kicks. Struve started to slow down and Volkov’s hand speed began telling, as he countered effectively and punched around Struve’s guard in combination when “The Skyscraper” put up his defenses. Volkov finally forced Struve to his seat behind a final barrage of blows against the fence, and referee Marc Goddard was not far behind him. The co-main event featured middleweights, as Siyar Bahadurzada welcomed undefeated Australian Rob Wilkinson to the UFC. It was a rude welcome, as Bahadurzada battered the newcomer with power punchdes for a second-round TKO. "The world is waiting to see who is the best tallest fighter in the world." Please don't let Struve die in the octagon. He seems like such a nice kid with a good… er… kinda ok… heart. Vitaly Minakov is the best Russian heavyweight at the moment, yes? Cutting Volkov's face open seems to have made him angry. I don't think we'd like him when he's angry. Stefan Struve going Dirty Bob tonight. Huge knee, pokes to both eyes, still moving forward. Maybe Volkov toughens himself up by braining himself with a tire iron or something. An eclipse and a Siyar Bahadurzada fight, all in the same year. Ok I thought a completely different Wilkinson was fighting here. Oops. The pick is Bahadurzada, but Wilkinson is live as he'll have a big size advantage and styles threat that has traditionally troubled Siyar. Welcome back to MMA @Siyarized. Looking forward to seeing him at 170 if that's the move to make.